I've been on a pretty big nu-disco kick lately, thanks to 8tracks. One of my favourite songs that just gets me up and moving is D.A.N.C.E. by French electronic duo, Justice (seriously, go to YouTube now -- the music video rocks... I'll wait). I got a chance to check out their recent album, "Audio, Video, Disco", and I was surprised to find it wasn't as disco-y as I had hoped. In fact, it was much more along the lines of a late seventies/early eighties classic rock anthem type album, which wasn't without its virtues. Rather than the cheerful disco song that made you want to shake it I expected, Horsepower kicked off with these really nightmarish, dramatic sounds and electric guitar, like the soundtrack for the main ballad from some 80s horror rock opera. Once I got used to the initial shock, this song made me want to get down with my bad self like I was some kind of David Bowie/ Phantom of the Opera hybrid. Not bad. Civilization kept it dark but started moving into some more funky Daft Punk-ish territory. This song made me want to make a glamorous and post-modern video about being in space. Once the beat picks up, it is impossible not to move to this -- but it isn't all just glam -- this song also has some pretty profound lyrics, so you can rock out in the club and have your "sudden realization guy" moments. Ohio was definitely a psychedelic trip. Eerie harmonies, banjo, and some obvious Indian influence gave a feeling that was somehow both relaxing and disconcerting. As I started to feel my body floating away and envisioning mandalas, some hint of paranoia kept nagging at me. Suddenly this late 60s trance was broken by a zappy and intense modern guitar solo. This song was somehow very true to form and yet also very experimental, so I have to say I enjoyed it. Canon (Primo) was an extremely short track with a kind of medieval or piratesque quality. It reminds me quite a bit of some of the works of The Decemberists. I enjoyed it, but it felt very short, which is why I suppose it was supposed to function as a kind of appetizer for the next track, Canon. This track was much more true to the kind of sound I expected from Justice. The electric guitar was intense and the whole song was very funky and electronic. Later in, the song had more bursts of tough-guy late seventies classic rock. Think of motorcycles, chainsaws, and the brands of beer old guys drink and you will have the right idea. Not to be confused with that redheaded television host, On'n'On was yet another psychedelic tune with distorted vocals and some sitar. This song sounds like a mashup between the beatles and that Led Zeppelin song, "Kashmir", plus "California Dreaming", thanks to that awesome jazz flute! It gives me a pretty strong hit of teenage nostalgia. At this very moment I am rooting through my closet trying to find that purple velvet vest and the blouse with bishop sleeves I used to wear. I certainly wasn't expecting to revisit my history of outdated music and terrible fashion choices on this album, but I still consider it a pleasant surprise. Rather than being the name of some obscure failed console from the seventies, Brianvision is a track that sounds like the background music for some old school fighter. There was some cool guitar, but much like the music of 70s-era games, I found this song became repetitive quickly. The beginning of Parade sounds a lot like "We Will Rock You" with an electronic edge, then softens up with some jazz flute and some organ, still keeping the sound very classic. 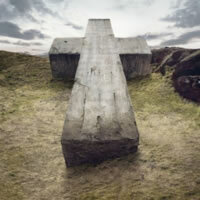 I am surprised by how much Justice seems to enjoy the sounds of classic but edgy rock music in this album. New Lands continues the classic rock trend with a very zappy distorted classic guitar riff and some very high Robert Plant-like vocals; I am unsure how much longer I can repeat the phrases "classic rock" and "electric guitar". If you are finding the phrases repetitive, you can imagine how I feel listening to the album. It's not like these songs aren't good; in fact, I really like the bass riff, it's just listening to them all together in album order gets very repetitive. Helix has a more complex electronic sound than previous tracks but still leans heavily on electric guitar. A little snipping of vocals and some synths helped spice up this song. We see a return of some funky Daft Punk distortion and some whimsical music-box like melodies. The title track, Audio, Video, Disco., begins with a very Victorian distorted harpsichord, which is certainly something fresh, as well as a synth which sounds sort of like an accordion. A very robotic voice repeats the mantra "audio video disco" in a tune somewhat reminiscent of the Steve Winwood "call on me" soundclip used in the Eric Prydz mix. There also seems to be a bit of organ in the background and a pretty kickin' beat comes in. Hidden after this song ends is one more unlisted track (found on a separate EP as Presence) which had a dreamy quality, plus lots of synths. The use of flute is beautiful and the harp-like synth used really gives the song a full feeling. This song has lots of bursts of dark intensity that make it great to chill out to. A lot of these songs were really good, but I found my enthusiasm dwindled over time because of the repetitive themes throughout the tracks. I think I need to take a long break from electric guitar now. Maybe I will check out some of Justice's older work and go back to their more disco days.